UPDATED April 2019: Long Island is home to a variety of professional services that will help families with their various needs, including health care providers, tutors and test prep services, and legal services. 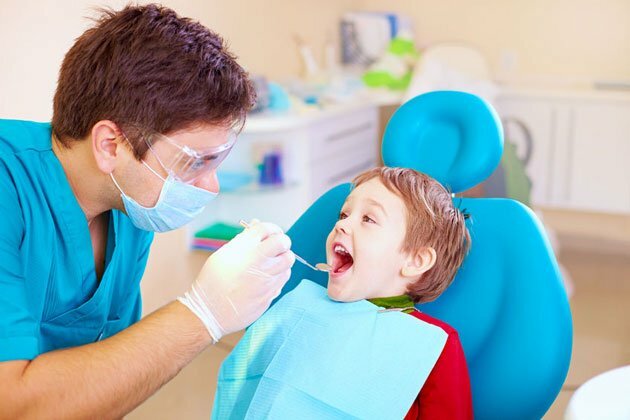 Health care providers in Nassau and Suffolk counties include pediatric dentists, orthodontists, pediatricians, therapists and counselors, and speech pathologists. Tutoring and academic coaching services on Long Island are available in a range of subjects, including test prep and college admissions, for kids of all ages and skill levels, as well as for children with special needs. And if you need legal services on Long Island or are planning for the future of your child with special needs child or entire family, lawyers, financial planners, and insurance representatives are available across Nassau and Suffolk counties. These professional services for families are located throughout Nassau and Suffolk counties, including the towns of Great Neck, Manhasset, Port Washington, Roslyn Heights, New Hype Park, Syosset, Huntington, Melville, Smithtown, and Dix Hills. UPDATED April 2019: Are you looking for the right dentist, orthodontist, or other dental professional for yourself or your kids in Westchester County? We’ve compiled an excellent group of dental professionals here, whether you’re looking for pediatric dentistry, orthodontics, or endodontics. These Westchester County dental practices care for infants, toddlers, children with special needs, teens, and adults. The board-certified dentists in our roundup treat both the physical and psychological needs of their young patients with the goal of making the experience of seeing a dental professional as positive as possible. These practices offer calm, warm, and friendly environments to make anxious pediatric patients feel at ease. Many even provide sedation and advanced technology to reduce discomfort during treatment. Care is available to treat tongue and lip ties that can make breast-feeding difficult. Offices are located throughout Westchester County in Briarcliff, Mount Kisco, New Rochelle, Scarsdale, and White Plains. UPDATED April 2019: Keeping our kids smiles beautiful and healthy is hugely important to their overall health, and there are numerous dentists and orthodontists in Rockland County and Bergen Count, NJ who specialize in pediatric oral health care. We’ve compiled an excellent group of dental professionals here whether you are looking for pediatric dentistry or orthodontics or even assistance with sleep apnea and snoring through corrective dental devices. These Rockland County and Bergen County, NJ dental practices care for the entire family from toddlers to adults. Practices are set up to offer a calm, warm, and friendly environment to make anxious pediatric patients feel at ease, and many provide sedation to reduce discomfort during treatment. These providers have the most advanced dental technologies and orthodontic options for the whole family, including Invisalign, drill-free and needle-free laser treatment options, and digital X-rays. These pediatric dentists offices are located throughout Rockland County, in Montvale, Monroe, New City, Tappan, Suffern, Pomona, West Nyack, Garnerville, and Nyack, as well as in Bergen County, NJ, including locations in Ridgewood. UPDATED April 2019: Find the best dentist, orthodontist, or dental care provider for your family on Long Island from this list of top, board-certified dental professionals, whether you are looking for pediatric dentistry, a family dental practice, or orthodontics (including teen and adult Invisalign). These Long Island dental practices offer fun, warm, and friendly environments (most with TVs, movies, or iPads) to make their anxious pediatric patients feel at ease. Many also provide sedation and advanced technology to reduce discomfort during treatment. These dentists, orthodontists, and dental hygiene providers are in Nassau and Suffolk counties in locations such as Garden City, Manhasset, Port Washington, Westbury, Smithtown, Riverhead, and Commack. 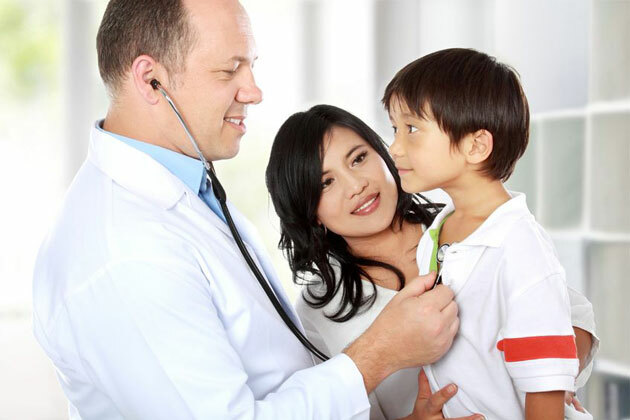 UPDATED April 2019: Looking for pediatricians, hospitals, practices, and other medical specialists for your family in Westchester County? We have compiled some excellent resources for your family here. Westchester County offers an extensive roster of pediatric medical groups, pediatric hospitals as well as pediatric psychotherapy and speech therapy providers. From ages newborn to adult, these providers offer state-of-the-art health care for infants, children, teens, and adults. Many providers offer 24-hour on-call availability, extended evening hours, and same-day sick visits. Whether you need a provider for a routine wellness visit, preventative medicine, vaccines, or more involved pediatric procedures such as surgery and cancer treatment, we can direct you some of the best specialists and facilities that Westchester County has to offer in Harrison, New Rochelle, Scarsdale, Valhalla, and beyond. UPDATED April 2019: From the moment our children are born, we check in with the pediatrician to make sure they're growing as they should be and are staying healthy all year. So it's imperative to find the right pediatrician for your child before they're even born. You'll want to find a doctor that's close to home, as we're sure you'll be making many appointments over the years, well at least one per year for your kid's annual wellness checkup. So we found some of the best doctors right here in Rockland County, and we're sure you'll find the best one for your family. These pediatricians are located across Rockland County in such towns as Nyack, New City, Suffern, and West Nyack. UPDATED April 2019: Whether you are an expecting mom who wants the best in 3-D imaging to see your child or you have children who require specific pediatric health care services, our guide to doctors and medical specialists in Queens will help you find the right provider. 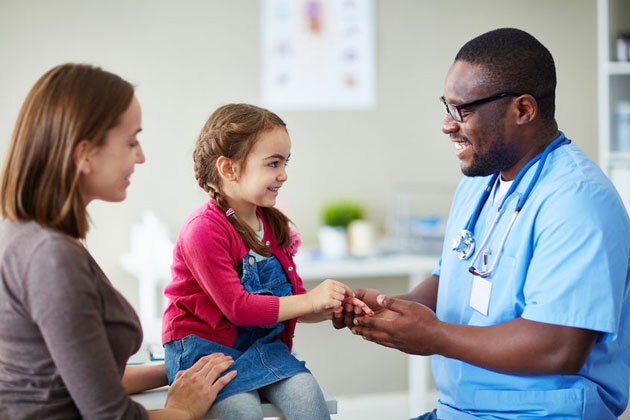 From general pediatric care and orthodontics to care for children with learning delays, developmental delays, and autism spectrum disorder, you’ll find the health care provider you need. Some of the practitioners listed will also help to evaluate your child’s needs to be sure they receive the most comprehensive care. Health care services offered here include occupational, speech, myofunctional, and feeding therapies; orthodontists; health insurance providers; and pediatrician groups. These doctors and other health care providers are located throughout Queens, including locations in Rego Park, Forest Hills, and Flushing, as well as nearby on Long Island in New Hyde Park, Melville, Jericho, and Stony Brook. UPDATED April 2019: Whether you are an expecting mom in Nassau County in need of pre-natal care or have children who require specific pediatric services in Suffolk County, our directory will help you find the doctor, hospital, or medical specialist on Long Island. Expectant moms can find 3-D imaging services, obstetricians and gynecologists, and even pre-natal chiropractic care across the region. 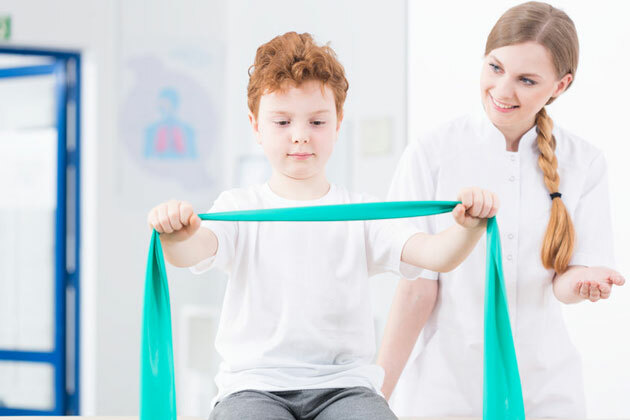 Long Island is also home to a wide range of pediatric specialists, from speech and feeding therapists to pediatric chiropractors, urgent care, and services for children with special needs. These doctors, hospitals, and medical specialists are located throughout Nassau and Suffolk counties, in such towns as Garden City, New Hype Park, Lake Success, Smithtown, Huntington, and Melville. UPDATED April 2019: If you’re searching for the right medical, dental, or health care provider on Long Island for your child with special needs, you’ve come to the right place. We found the best health care professional or children with special needs in Nassau and Suffolk counties, so you’re sure to find the best one for your family. Whether you need a doctor, dentist, or orthodontist who specializes in the care of children with special needs or you need therapeutic services for your child with autism spectrum disorder such as speech, occupational or physical therapy, you will find the right resources here. 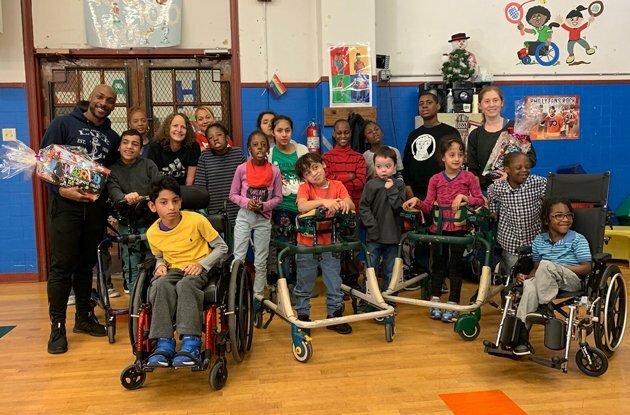 These health care providers for children with special needs are located in Nassau and Suffolk counties, including towns such as Lake Success, Wantagh, Plainview, Westbury, Smithtown, and Commack. 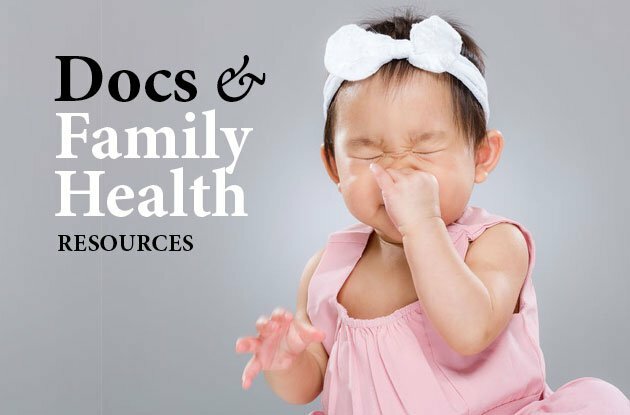 UPDATED April 2019: We know nothing is more important than your family’s health and general wellness, so whether you are looking for pediatric medical and dental care, lice removal services, allergy care, or fitness centers, we have found the best providers and services for kids and families in Brooklyn. For family health care, you’ll find doctors, dentists and orthodontists, hospitals, medical centers, and therapists. To enhance your children’s overall wellness, you will find classes in taekwondo, trampoline, and more. These health care and fitness facilities are located throughout Brooklyn, including locations in Park Slope, Prospect Park, Clinton Hill, Fort Greene, Dumbo, Brooklyn Heights, Crown Heights, Carroll Gardens, Bedford, Williamsburg, Bay Ridge, Flatbush, Coney Island, and beyond. UPDATED April 2019: Staying active and healthy on Long Island is easy, especially when you have a variety of health and wellness services to choose from. To make it even easier, we found the best pediatric health and wellness providers in Nassau and Suffolk counties for you. Our directory helps you locate the best and most cost-effective pediatric care from family dentistry and orthodontics to therapeutic services such as speech therapy, behavioral therapy, and even feeding therapy. Additionally, you’ll find facilities that promote over wellness such as chiropractic care offices and fitness facilities. These health and wellness facilities are located in Nassau and Suffolk counties, including such towns as Garden City, Manhasset, Lake Success, Smithtown, Commack, Melville, and Westbury. UPDATED April 2019: Queens is home to a variety of doctors, dentists, health care plans, mental health professionals, and medical centers for kids and families, so you’re sure to find the provider you need. There are ways to keep your kids active in Queens, including playspaces, trampoline parks, dance studios, rock-climbing venues, basketball programs, tennis lessons, and soccer. You’ll also find health insurance providers, pediatricians, therapists and counselors, dentists, speech therapy, and orthodontists. These health care and wellness providers are located throughout Queens, including locations in neighborhoods such as Long Island City, Astoria, Forest Hills, Fresh Meadows, College Point, Middle Village, Rego Park, Bellerose, Sunnyside, Elmhurst, Jamaica, Bayside, Flushing, and Woodside. 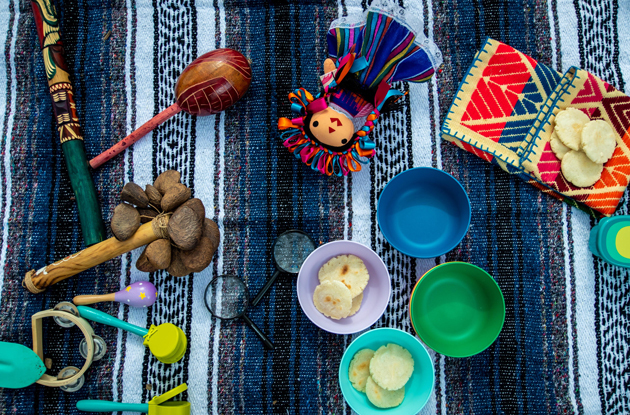 UPDATED April 2019: Staying healthy and active is super important as a parent—and making sure our kids are healthy too is no small feat. Whether you're looking for a health care provider or a way to stay active in Rockland, we've got you covered with this comprehensive list of medical professionals in the area. From dentists, orthodontists, pediatricians, and doctors, to fitness programs, psychologists, OB-GYNs, and occupational and behavioral therapy, you're sure to find the best provider for your needs. These health care and fitness providers are located across Rockland County, including such towns as Nanuet, Orangeburg, Tappan, Garnerville, New City, Nyack, Pomona, Suffern, and West Nyack, as well as locations in Bergen County, NJ, including Ridgewood, Park Ridge, Tenafly, Fort Lee, Paramus, and Clifton. 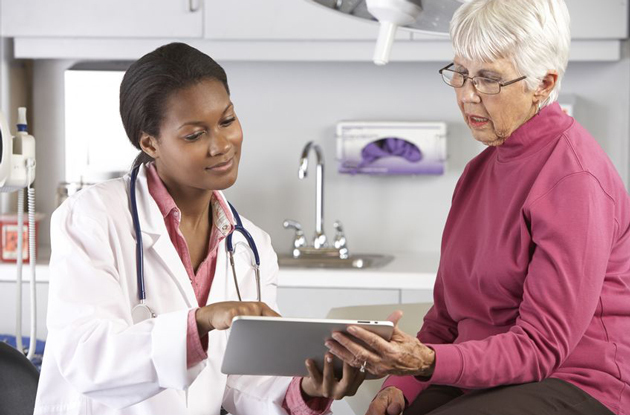 UPDATED April 2019: With the abundance of health care professionals and services in Westchester County, finding the right one for your family can be time consuming. So we compiled a list featuring the best family doctors and pediatricians, hospitals and medical centers, fitness centers, and dentists and orthodontists. Whether you are looking for the best in care for your kids’ dental health, mental health, or physical health and fitness, Westchester County has these pediatric specialties covered. Plus, you’ll find dentists, doctors, and therapists who specialize in special needs, such as autism, ADD, ADHD, developmental issues, and physical disabilities. In addition, Westchester provides physical fitness facilities for opportunities to promote overall wellness with sports such as dance, swimming, tennis, gymnastics, basketball, and baseball. These health care and fitness services are found throughout Westchester County with locations including Mount Kisco, Mamaroneck, Mount Vernon, New Rochelle, Peekskill, Tuckahoe, Rye, Scarsdale, White Plains, Yonkers, and Montrose, plus locations in nearby Rockland County and Fairfield County, CT. 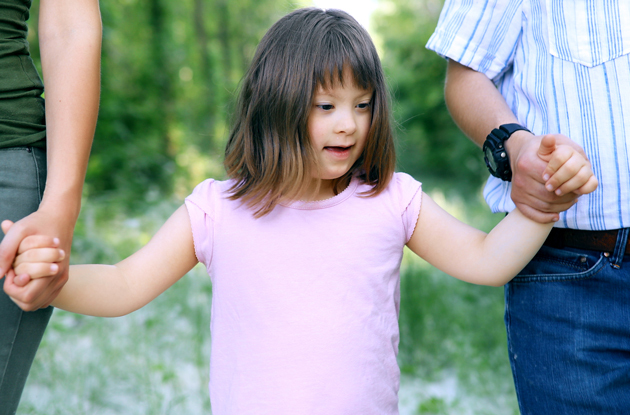 Whether your child is starting camp, coming home from camp, or getting ready to start school, you'll want to get her checked for head lice—even if you don’t think your child is showing symptoms of having head lice. The biggest sign that your child might have head lice is if he’s itching his head a lot (that itching is an allergic reaction to the lice’s saliva). When you’re ready to get your child checked for head lice, visit a head lice removal specialist on Long Island. Professionals are able to diagnose head lice and use specific techniques to rid your child of the bugs. (Trying to remove head lice at home is a very tedious process and may not be 100-percent effective at removing bugs, nits, and eggs.) 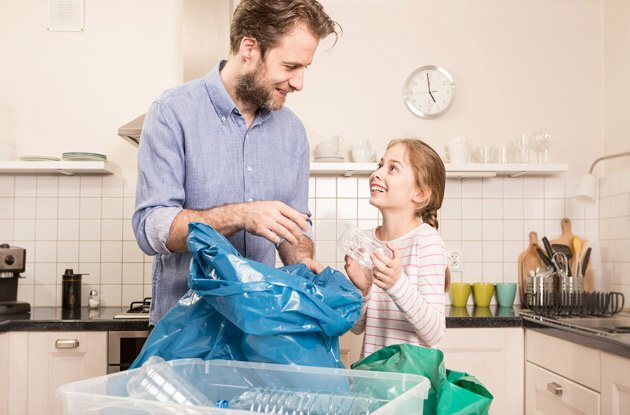 These head lice specialists can advise you on what cleaning measures to take at home, but the most important thing to remember is to reassure your child that she’s not dirty. In fact, head lice love clean hair! So if you’re worried about lice, visit a lice removal specialist in Nassau or Suffolk counties. Whether your child is starting camp, coming home from camp, or getting ready to start school, you'll want to get her checked for head lice—even if you don’t think your child is showing symptoms of having head lice. The biggest sign that your child might have head lice is if he’s itching his head a lot (that itching is an allergic reaction to the lice’s saliva). When you’re ready to get your child checked for head lice, visit a head lice removal specialist in Westchester, Rockland, or Bergen counties. Professionals are able to diagnose head lice and use specific techniques to rid your child of the bugs. (Trying to remove head lice at home is a very tedious process and may not be 100-percent effective at removing bugs, nits, and eggs.) These head lice specialists can advise you on what cleaning measures to take at home, but the most important thing to remember is to reassure your child that she’s not dirty. In fact, head lice love clean hair! So if you’re worried about lice, visit a lice removal specialist in Rockland County, Westchester County, or Bergen County, NJ. 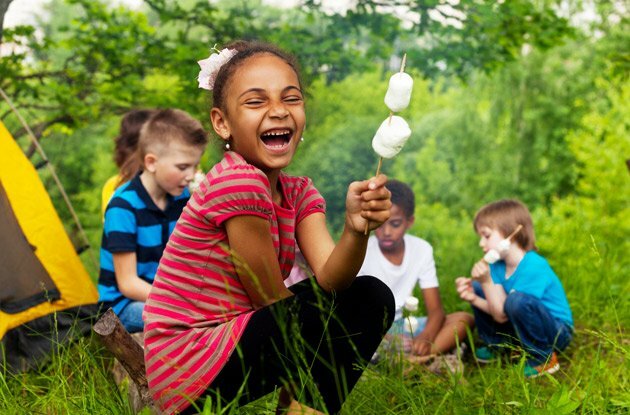 Whether your child is starting camp, coming home from camp, or getting ready to start school, you'll want to get her checked for head lice—even if you don’t think your child is showing symptoms of having head lice. The biggest sign that your child might have head lice is if he’s itching his head a lot (that itching is an allergic reaction to the lice’s saliva). When you’re ready to get your child checked for head lice, visit a head lice removal specialist in Manhattan, Brooklyn, or Queens. Professionals are able to diagnose head lice and use specific techniques to rid your child of the bugs. (Trying to remove head lice at home is a very tedious process and may not be 100-percent effective at removing bugs, nits, and eggs.) These NYC head lice specialists can advise you on what cleaning measures to take at home, but the most important thing to remember is to reassure your child that she’s not dirty. In fact, head lice love clean hair! So if you’re worried about lice, visit a lice removal specialist in Brooklyn, Manhattan, or Queens. Ensuring good joint health year round is key to preventing joint pain as the temperatures drop. The goal is to ease the pressure on your joints so they are less prone to injury or pain. 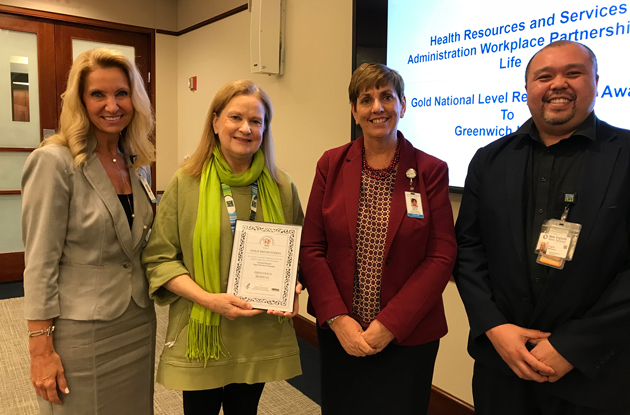 Greenwich Hospital won a Workplace Partnership for Life (WPFL) Gold Award from the U.S. Health Resources and Services Administration on April 15 for raising awareness of the more than 124,000 people across the country who are in vital need of organ, eye, and tissue donations to survive. The WPFL Hospital Campaign enlists hospitals and hospital associations nationwide to coordinate donor awareness and registry enrollment activities with staff, patients and their communities through creating a culture that consistently educates and registers potential donors.